Immaculate Home on 26.4 Acres just minutes to hospital, shopping and more. 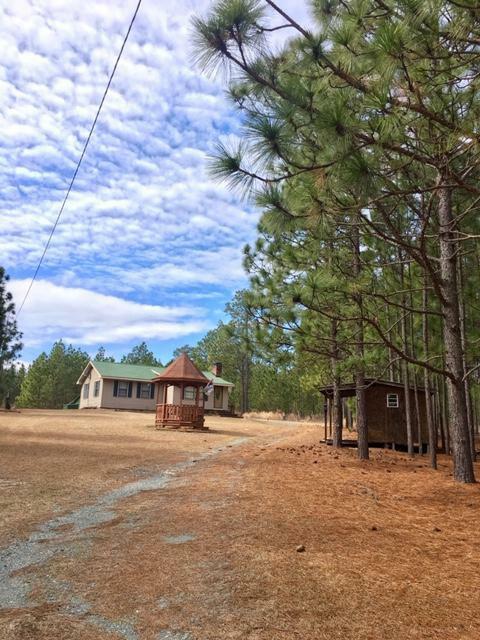 This property is a hunter's dream come true or just wanting some room to roam around. The home is in great condition with an open floor plan, spacious master bedroom, LR with a Brick floor to ceiling fireplace. Lots of detail like wooden beams in the ceiling to hardwood floors to lots of built ins and all newer appliances. This home is so adorable! The property has 26 Acres with a 20 x 32 and could be converted into a shop or horse barn. There are numerous other buildings to use for various ideas and are all in great shape. The property generates about 1200 to 1500 in longleaf pine straw. The deer are plentiful and lots of wildlife. Don't miss out on this opportunity to enjoy nature at its finest!!! !